Paul Hamilton, Construction Technology instructor at BHS, is pictured with William Snead (left), Detrell Davis and (not pictured) Drew Carnell, who are competing at the SKILLSUSA Arkansas Challenge at Hot Springs. 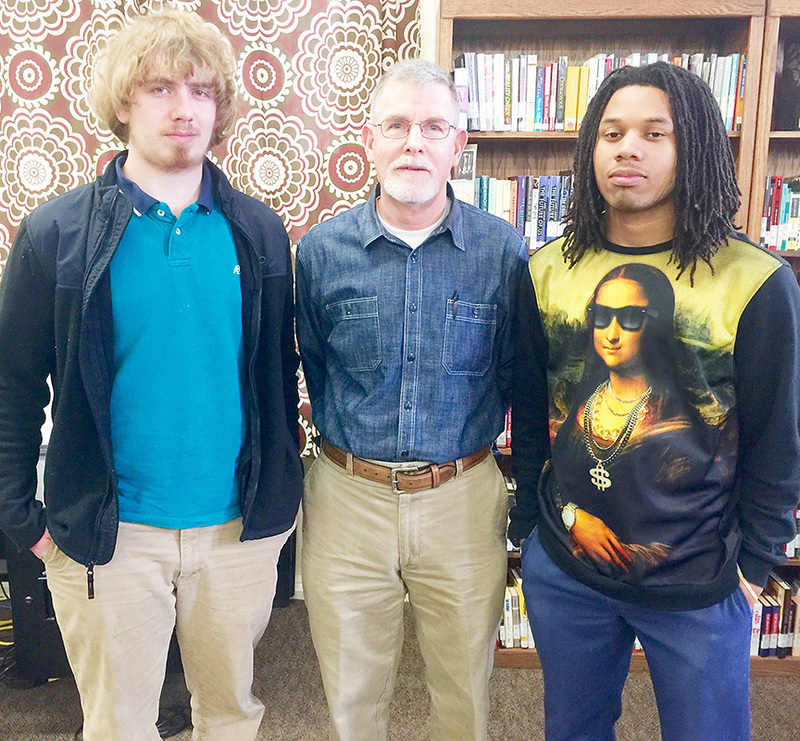 Blytheville High School will be represented by three students at the “SkillsUSA Arkansas Challenge”, and SkillsUSA advisor Paul Hamilton believes all three could possibly come away with first-place medals. How these students compete in the final standings, though, is not as important to him as the experience will be for them simply being involved in an event of such a grand scale. The statewide Skills USA Arkansas event will be April 12-13 at the Hot Springs Convention Center, and students who finish among the top in their categories will qualify for the National Leadership and Skills Conference at Louisville in June. SkillsUSA is a U.S. career and technical student organization that serves nationally more than 320,000 high school and college students and professional members enrolled in training programs in technical, skilled and service occupations, including health occupations. Hamilton, who teaches the Construction Technology program for BHS at the Arkansas Northeastern College Burdette campus, will be accompanied by students Detrell Davis, William Snead and Drew Carnell. Davis and Carnell are seniors and Sneed is a junior, and Davis is attending the competition for the third consecutive year while Carnell is attending for his second year. The BHS group left on Monday morning and return Wednesday. The SkillsUSA theme is “Champions at Work”, and scheduled competitions will include such interests as art, culinary, criminal justice, welding, carpentry, outboard motors and aviation. Davis will participate in the plumbing competition, Carnell in electrical construction wiring and Snead in carpentry. According to Hamilton, the students have performed well this school year with “trainers” since they don’t have enough room at the Burdette center to work on an actual building. The “trainers” give the students hands-on experience on installing residential wiring, plumbing and carpentry.